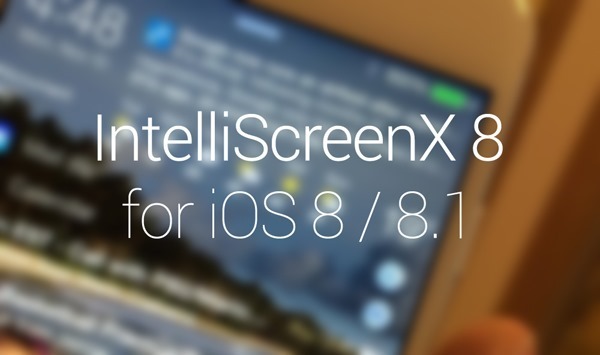 IntelliScreenX 8 beta has been released. 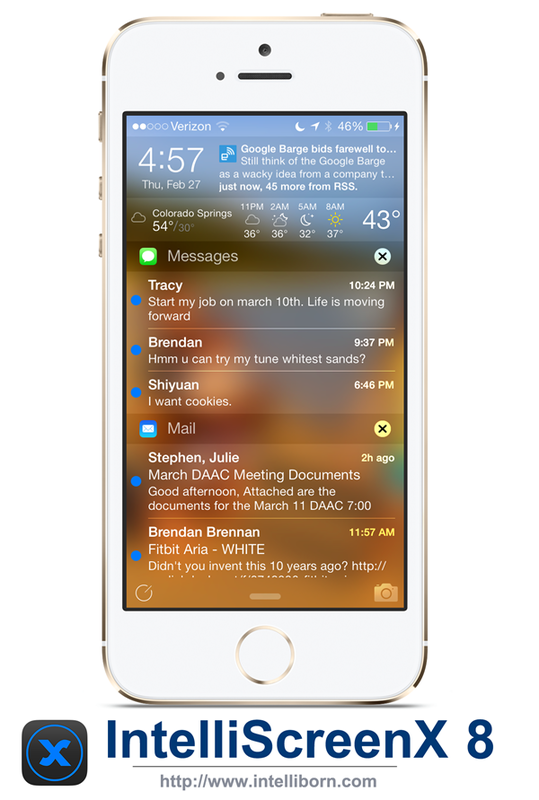 The coveted Cydia tweak which has been making your iPhone and iPad’s Notification Center come alive for almost two years, has finally been updated for iOS 8 and 8.1. Just a few days back, Intelliborn – the developer behind IntelliScreenX – released a photo of ISX 8 running on the iPhone 6, and while fans were anticipating a release soon enough, and today, the man behind the tweak has delivered on his promise. The iOS Notification Center was perhaps the biggest change and feature Apple had made to its mobile OS in a while, but given the prowess of such features on competing platforms like Android, it did fall well short of features and functions. IntelliScreen X however, was able to bridge this gap to a large extent, and even brought in some navigational features that were not seen in iOS before. As was seen in the IntelliScreenX 8 photo released by the developer, the latest version does seem to remain largely unchanged compared to the previous version for iOS 7.x, and retains the quick app launch slider, as well as the camera and message composition buttons. Just like before, it integrates with the iOS 8 / 8.1 lock screen as well. ISX 8 is an open beta for now, and the developers have clearly stated that “We are releasing IntelliScreenX 8 with a few issues that we are still working on”. Intelliborn has highlighted the following issues for now which it is trying to remove one by one. The list however, is not definitive and there may be other unreported bugs as well. Email previews not being complete in the Notification Center. Deleted emails not reflecting in IntelliScreenX. Unread email marked as read not showing up in the Notification Center. The ‘Today’ screen section may show a wrong icon. Facebook and Twitter buttons will not show well on darker backgrounds. IntelliScreenX 8 should be a free upgrade for users running IntelliScreenX 6 or 7. As for owners of previous versions of ISX, the upgrade will cost them $4.99. For IntelliScreen owners, moving to ISX 8 will cost them $7.99. However, if you are jumping on to the tweak for the first time, you will have to dish out a well-deserved $9.99 fee to enjoy the rich features of this tweak. You can download the IntelliScreenX 8 from the ModMyi repo in Cydia. If I find some thing for a fresh design I will post it…. All is well but my ipad air 2 has a wierd thing happening to the weather app where it gets cutt off halfway. For the dame reason when i pull up my control center, my airdrop overlaps my airplay button. I guess i just need to wait for an update or submt some ticket bugs to the developers.. The blur gui has and will always be a perferreed theme for everyone as it obtains a neutral motive. If you feel like customizing it, just change your lockscreen image.